They lead very hard lives of napping, eating, going on long walks, getting their bellies scratched and then napping again in fluffy beds so I could see where they needed a little treat...can't you? 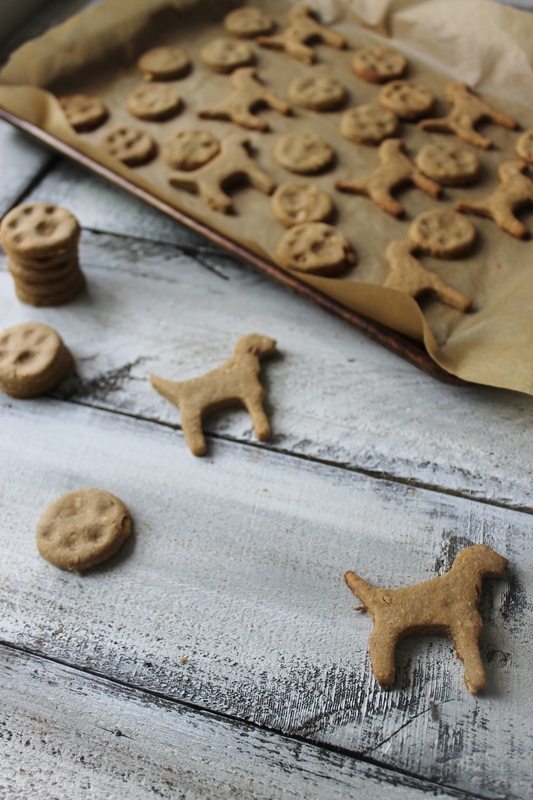 Nevertheless, I made them treats...as I usually cave to their demands (I am not the disciplinary in the family) and figured that you might want this doggie treat recipe to bake for your furry kids who think they need a little something extra over the weekend. 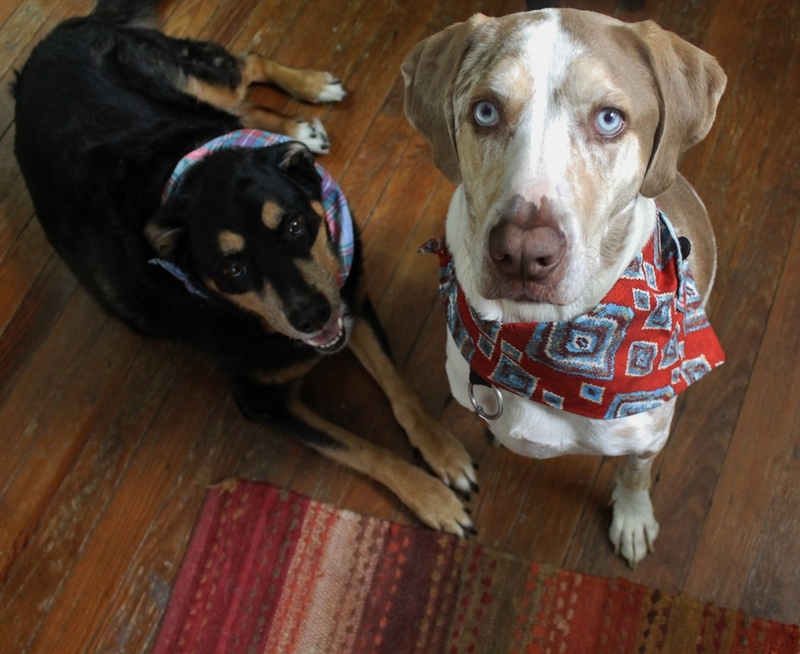 Those are the faces of two rotten boys who would do just about anything for a treat. I can assure you that these treats are dog tested and approved. Mine were stalking me from the time I started mixing the treats together, until they came out of the oven, and into last night where they kept trying to convince me to give them a little bedtime snack. I am pretty sure they love these treats as much as I love ice cream, and we all know that is A LOT! In a food processor (the food processor makes it so easy), or by hand combine all ingredients and mix until you have formed a dough. If it is too wet, just add a little flour until it reaches a biscuit like consistency. On a clean surface, flour the surface lightly and roll out dough until about 1/8" thick. Cut out treats in whatever shape you like. I used a dog shaped cookie cutter, and a small round one. For the round ones, I made them look like paws by using by fingers and pressing to make the paw pads. I just my thumb and pinkie finger. Bake for 20 minutes until golden brown. Let cool. I apologize for the crazy eyes and wet noses that will be hovering around you the whole time you are baking, but I do promise that you will become their favorite person ever if you make these...even if you probably were already. 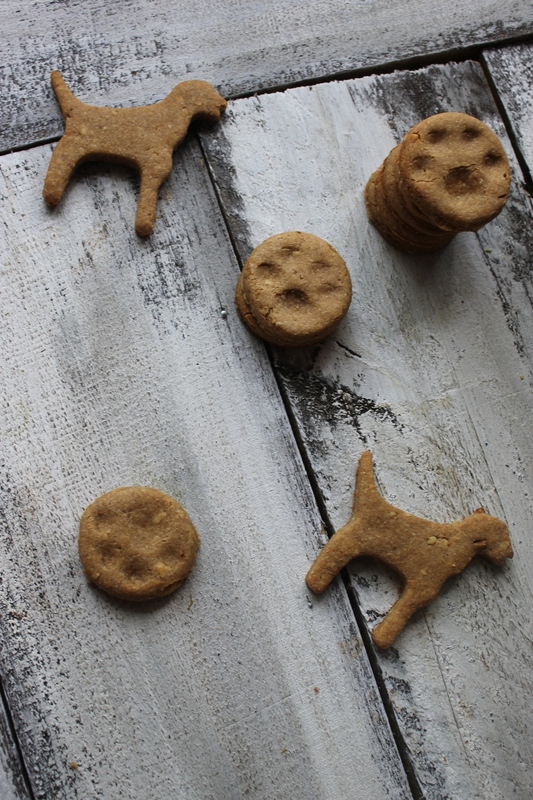 These treats are great to give as gifts to other doggie moms and dads for holidays or just because you made extra and are in the giving mood. Just don't tell your pups that you are giving them away...they will never forgive you.